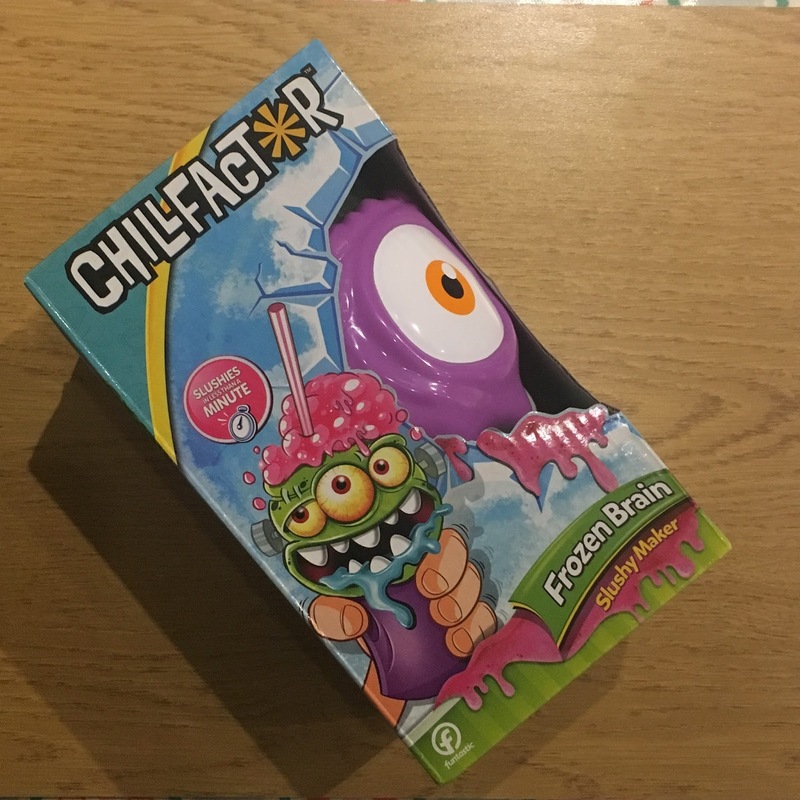 T really liked the look of The ChillFactor Frozen Brain Slushy Maker when he saw the photo's, he thought it was just a pretty awesome drinks cup, so when it arrived and he realized that he could make delicious slushies' in seconds, he was pretty impressed! 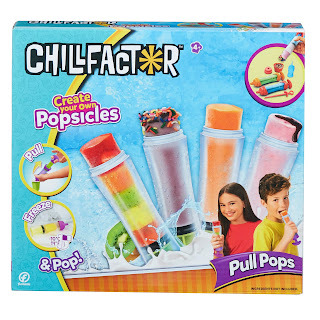 He was a little disappointed to find that the freezer pack had to be frozen first, but we did this before school and by the time we came back it was nice and frozen and we could begin to make our slushy. 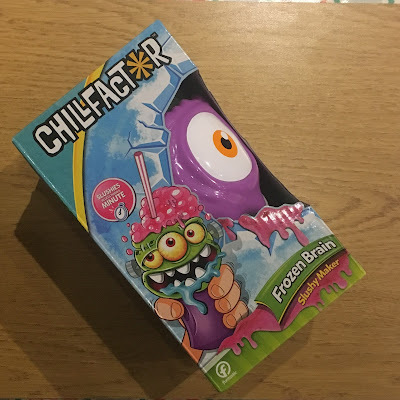 Chillfactor Frozen Brain Slushy Makers retail at £12.99 and can be purchased here. 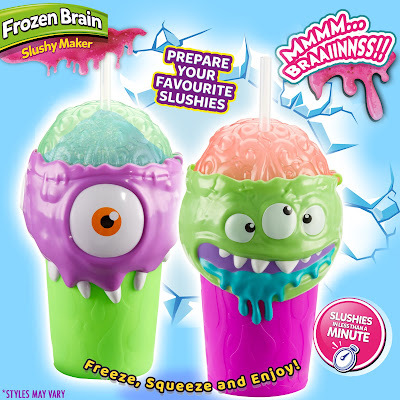 T loved the fun and colourful monster design and watching the slushy swirl around the monsters brain! So, let's briefly tell you what you need to do! 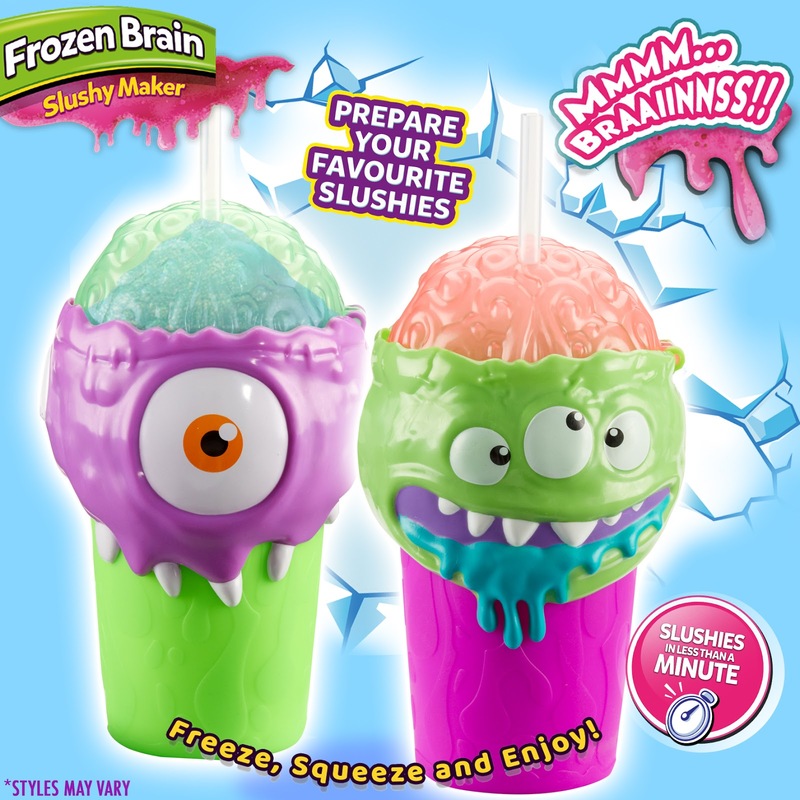 Once the frozen pack has been added back to the cup, it's so simple to turn a regular drink into a yummy slushy. Simply pour your drink I and give the cup a big squish, T did find this a bit difficult as the quicker you squish it the faster and icier your slushy gets, in no time at all T had a lovely slushy which he really enjoyed. Yep! That's it! 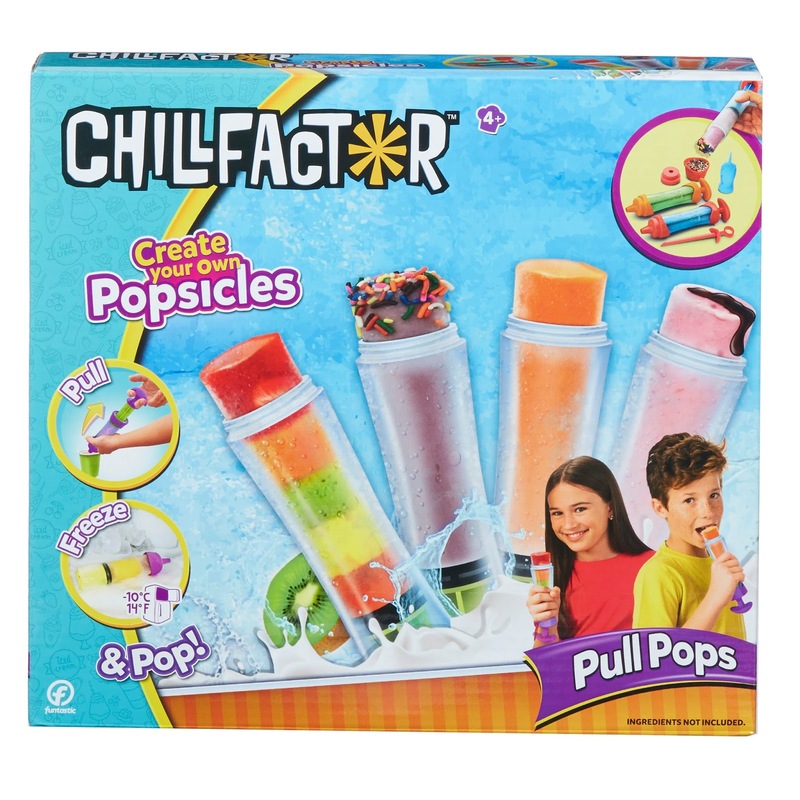 So simple, and the cup comes with a long spoon/straw so you can use that to make sure you can get all of that slushy! 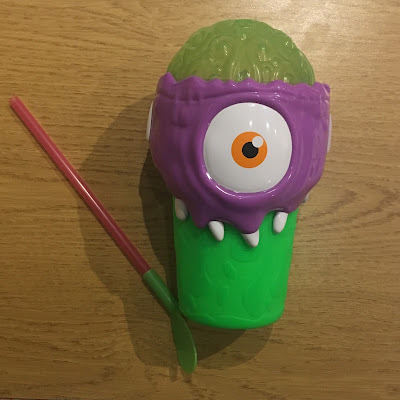 The slushy maker is marketed as 'transportable' but to be honest, I don't think they are stable enough to be transportable, I certainly wouldn't put one in my bag for the risk of it leaking.